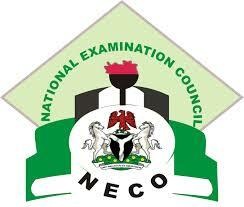 THE National Examination Council Nigeria) NECO 2018 result has been released. All candidates who sat for the Neco/GCE examination, which was held on Nov/Dec should note that the institution has officially released the much awaited and anticipated result. All candidates who sat for the Neco examination in 2018, should be informed that the much awaited Neco gce 2018 result has been released. We’re using this medium, to inform the Nigeria general public, that the Neco Management board has just released the 2018 result. We’re also recommending the Neco Management board for the quick release of this result. → To check your Neco nov/dec 2018 Result, you’re must do the following. → When the above website opens on your browser, a blank box will appear, you’re to insert the following. → After correctly filling the form, click on the Enter button to check your NECO Gce Nov/dec 2018 result. The Dailyschoolnew team wish you all the best of luck. Mind sharing your result with Us? We’ll love to hear IT!